Home is where your heart is, no matter how far I travel the joy of coming back home and snuggling in my bed is unparalleled. I have always dreamt of owning an apartment. A house which I can design my way, in my image and call it my home. But this dream has been clouded by the pressures of reality and descended to the bottom of my priorities. Travel is my top priority, a major chunk of my savings and earnings is allocated to this simple joy. But the desire to design my house in my own wicked way with the things I love still lingers in the back of my mind. 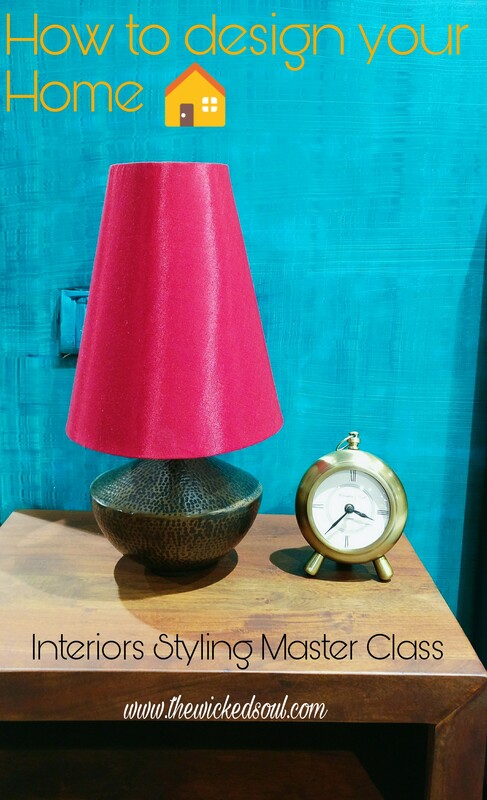 With styling ideas fading from my memory, I jumped at the opportunity of attending a Masterclass of Interiors styling. 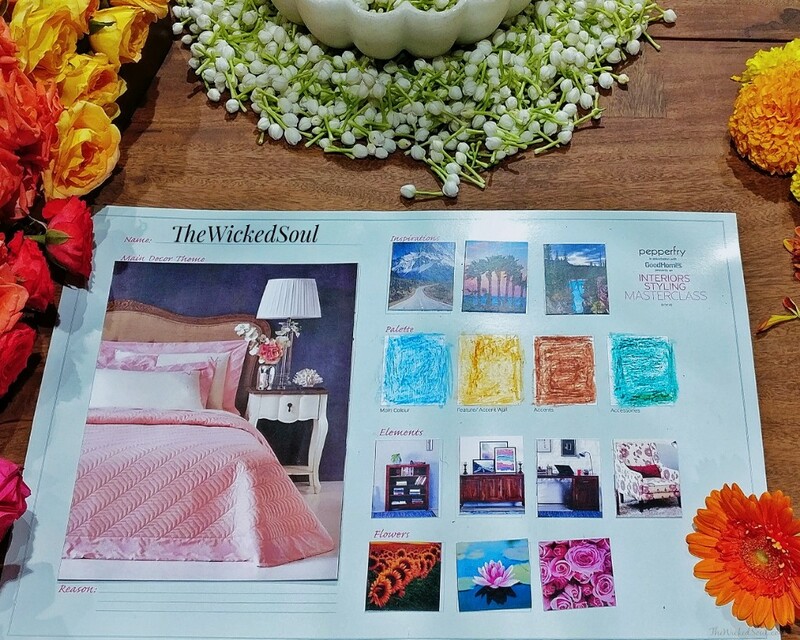 The Master Class was conducted at the Pepper Fry Studio in Mumbai by Ronita Italia Dhanuu, the editor of Good Homes magazine India. 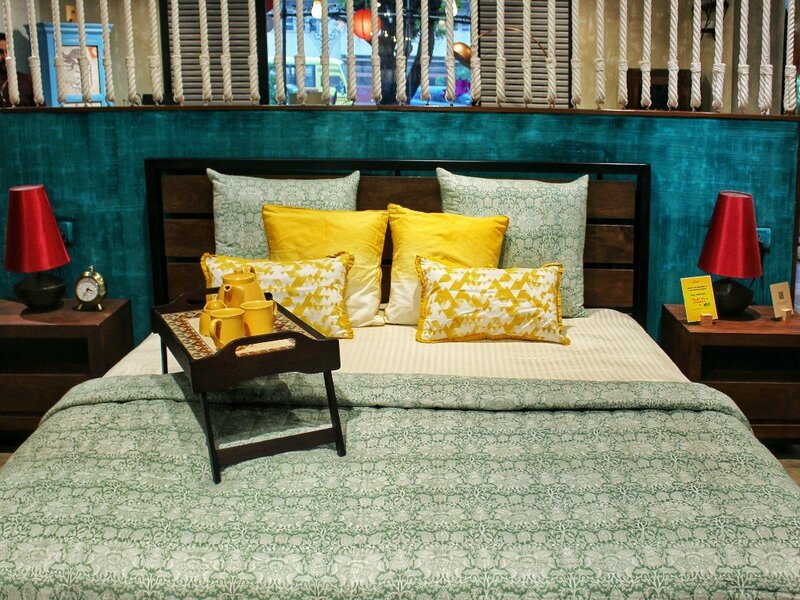 Pepper Fry which is a one-stop shop to fulfill your desire for stylish yet functional furniture & the designing class by Ronita was an apt collaboration between the two. 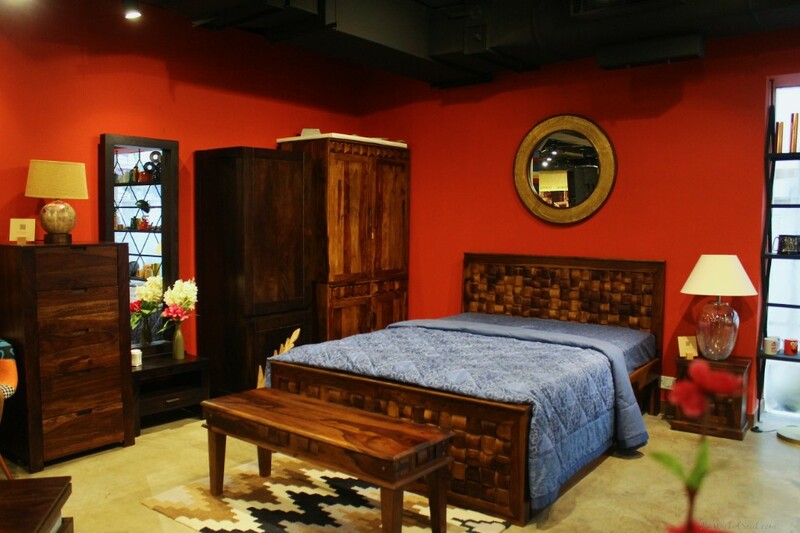 With years of experience and her fun style she effortlessly conveyed the beauty of home décor. As she quotes, “Home is an extension of your personality, it is how you are and things you love”. Starting from the basics, types of Prints, textures, patterns, and lots more, she engaged all the participants in a fun activity. Each one of us was given a kit with some cool elements and a board on which we could style our own home. 1. To begin with, we had to pick our Main Theme décor: From an array of drool-worthy options in every theme, I picked this pretty comfy bedroom as my theme. 2. 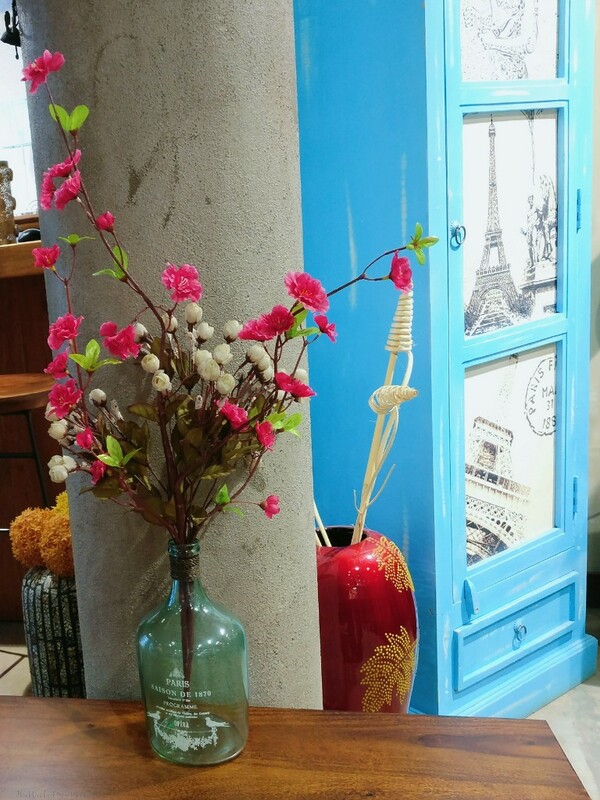 Inspirations are a much-needed essential to pour life into the simplest of decors. 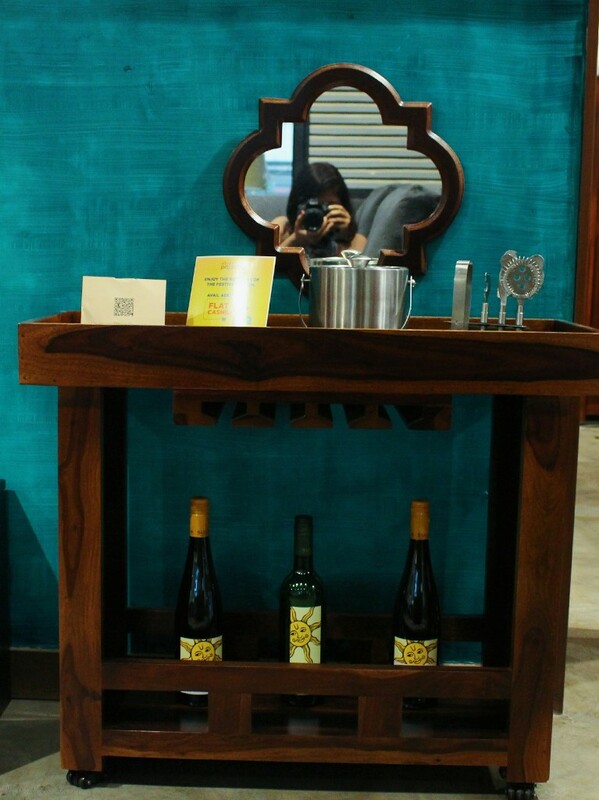 It does not need to be related to the theme décor but instead things that inspire you in their own way. And what better inspiration could I have than Travel. I have always been fascinated by mountain ranges and beaches and fortunately, we could choose 3 picks; one which included a lake surrounded by lush mountains. 3. The next step seemed the simplest, choosing colors complimenting your inspiration. I picked Aqua for sea, Green for Nature and Brown for Mother Earth. 5. And the final elements were to pick flowers for the colors to add. I do not like plucking flowers for decoration but I always imagined myself strolling amongst fields of sunflowers and lavenders. The posters of the flowers are a close representation of my imagination. So, if I ever had to own a house, this is pretty much what it would look like. Pepper Fry has dreamy décors for your house, one prettier than the other, but this Master Class threw some light on the kind of décor one could relate to as their home. 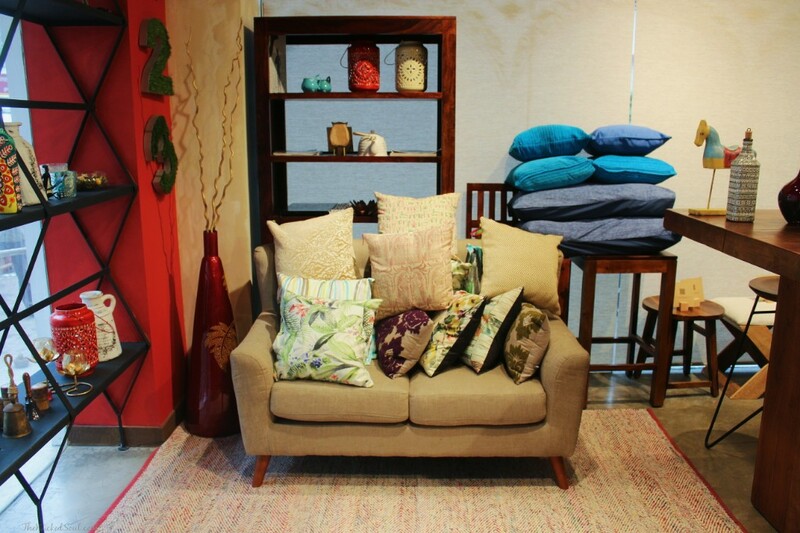 Below are a few clicks of the beautiful upholstery spotted at the Pepper Fry Studio, Santacruz, Mumbai. So what kind of story your house tells? What’s your favourite corner in your house?